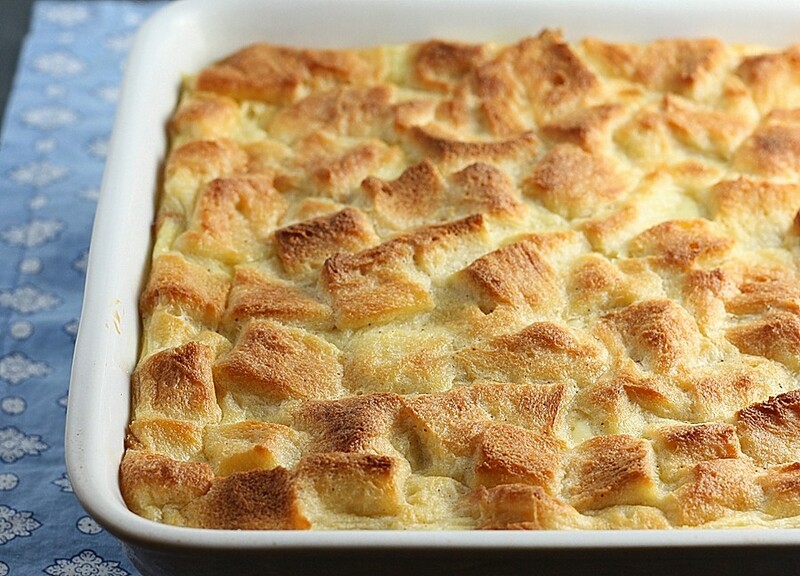 Bread pudding, comfort food at it’s finest. As a kid, bread pudding completely grossed me out. I couldn’t understand how you could make a delicious dessert out of a loaf of bread. It just didn’t seem right. For many years, I stayed away from it – even as an adult – bread pudding was not my idea of a wonderful treat. About five years ago I was at a very good local restaurant, and on the dessert menu was Banana Bread Pudding. Now I thought to myself, this is something worth ordering. Banana Bread combined with a custard all baked together, now we’re talking. 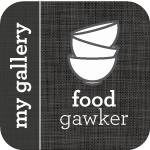 I loved it – it was crispy on the outside, tender on the inside, and it was served with caramel drizzled on top – I basically licked the plate clean. That’s all it took to get me started on bread pudding – just wait until next fall when I post my Pumpkin Bread Pudding… I saw this recipe over a year ago in Bon Appetit, and it sat in my pantry waiting for me to make it all this time. I just had to wait for the right occasion, and make sure I had a lot of people to serve. After about a year, and it was still in the pile, I figured I just had to bite the bullet. The next occasion that came up, that was it. So, I brought it to my daughter’s book group – warning people that I was only going to bring an adult dessert. Well – not only did the mom’s love it – but the girls loved it also. It came out perfect – and tasted just like the most wonderful french toast with maple syrup on the bottom. It was crispy on the top, soft and rich on the inside, just the way I like it. Good thing I finally came to my senses. Spread brown sugar evenly in bottom of 8x8x2-inch glass baking dish (or other 9- to 10-cup dish). Sprinkle bread cubes evenly over. Combine eggs, cream, milk, 2 tablespoons sugar, vanilla, nutmeg, and salt in large bowl; whisk to blend well. Pour custard through sieve over bread in dish. Let pudding stand 30 minutes, occasionally pressing on bread to submerge. Position rack in center of oven and preheat to 350°F. Place baking dish in roasting pan. Pour enough lukewarm water into roasting pan to come halfway up sides of baking dish. Bake pudding until set, brown on top, and small knife inserted into center comes out clean, about 1 hour 15 minutes. Let cool in water 20 minutes. Spoon bread pudding into dessert bowls and serve warm. To keep the water in the roasting pan from boiling (which would affect the texture of the pudding), add several ice cubes to the water every 10 to 15 minutes to bring down the temperature. creme caramel Bread Pudding looks delicious and mouth watering. Since I could live off bread pudding, I think I’d better try this. 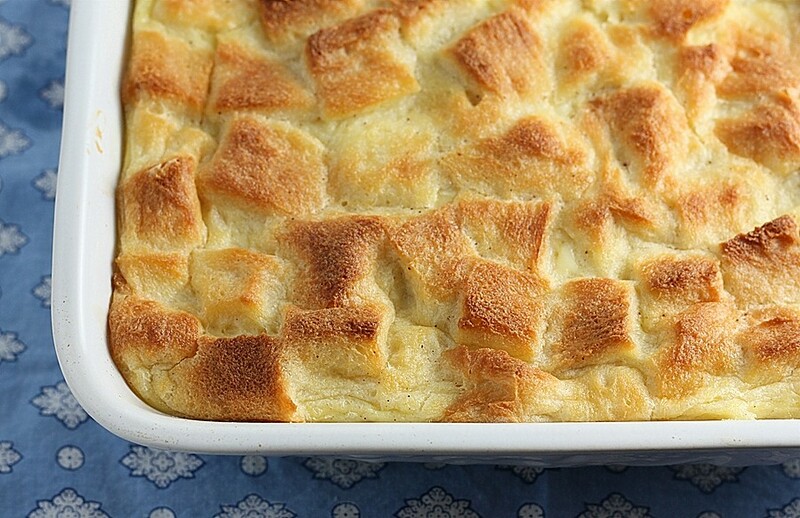 We do love bread pudding and this sounds wonderful. just tried this recipe and it seriously was so delicious!! I’m so glad you liked it – I thought it was excellent, and so easy! Absolutely! Super easy and perfectly delish! I posted a pic of the finished result on my instagram and a few friends would like the recipe. Do you mind if I post this recipe on my blog? I’ll be sure to credit you!